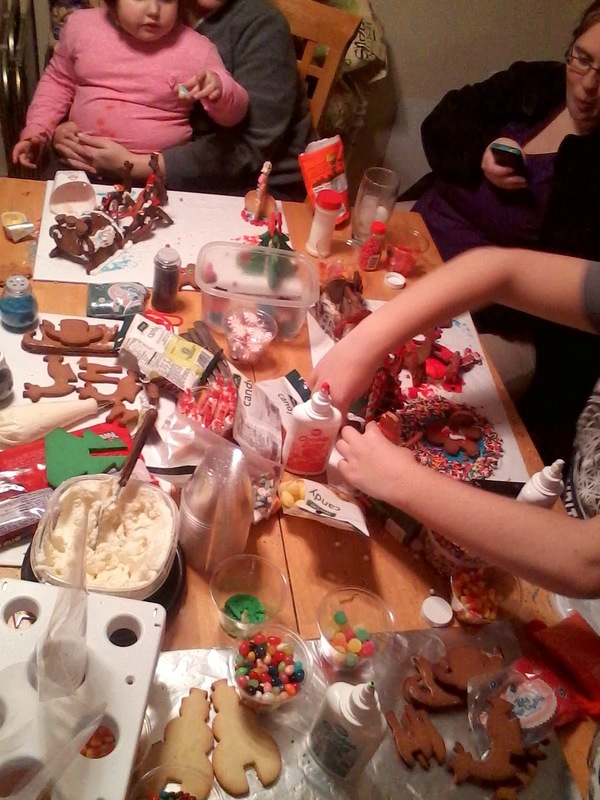 G's Crafts n' Things: 2013 Cookie party! This is my post for my 2013 cookie party! 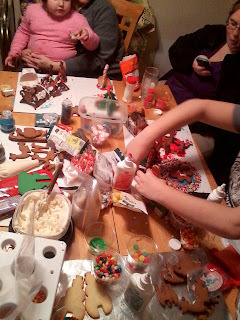 I have started a tradition for family and friends that every year I throw a cookie party. 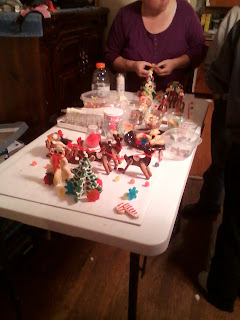 This year will be 3D Christmas scene involving sleigh, reindeer, trees and snowman. I will add to this post as the event evolves. 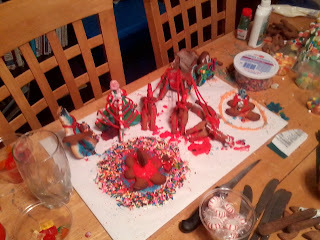 I am making the sleigh and reindeer out of gingerbread cookies and the trees and snowman out of sugar cookie dough. 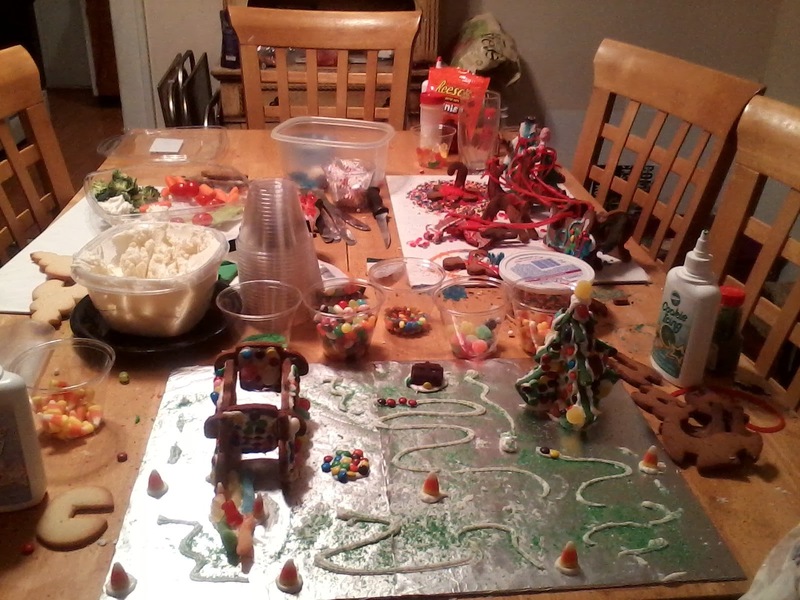 I will pre-color the tree dough green. This is the gingerbread recipe that I am using. 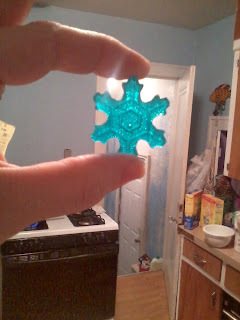 It is included in the cookie set. (This recipe states it's lighter than those used for houses so suitable for small cookies. See my cookie party 2012 post for a gingerbread house recipe. Add the flour mixture in 4 portions, beating in each addition before adding more. Stop and scrape down sides of bowl occasionally. Turn dough out onto floured surface and with floured hands divide into 4 sections. Shape each section into a disc and wrap in plastic wrap, parchment paper or other material and refrigerate at least 2 hours or up to 2 days. Remove dough 1 disc at a time and let stand 10 minutes. Roll out to ¼ “- 3/8” thickness and cut. 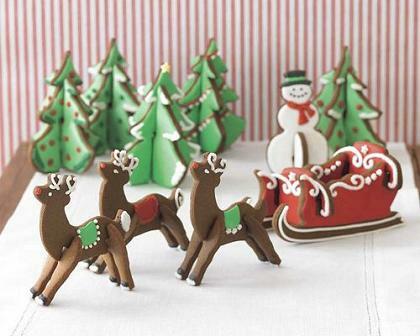 Bake cookies until lightly browned on the bottom (4-5 minutes for smaller cookies 6-7 minutes for larger cookies). Cookie party was a success (as it usually is). 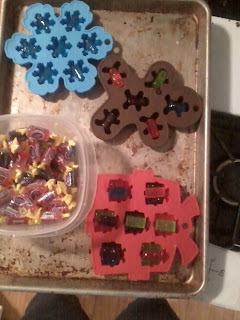 I found some silicone molds for $1.99 at our grocery store (Meijer's) so I melted Jolly rancher candies into them. 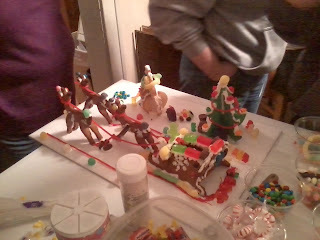 the gingerbread men and snowflakes took 1 candy. and I used 3 for the presents to fill the bow space. 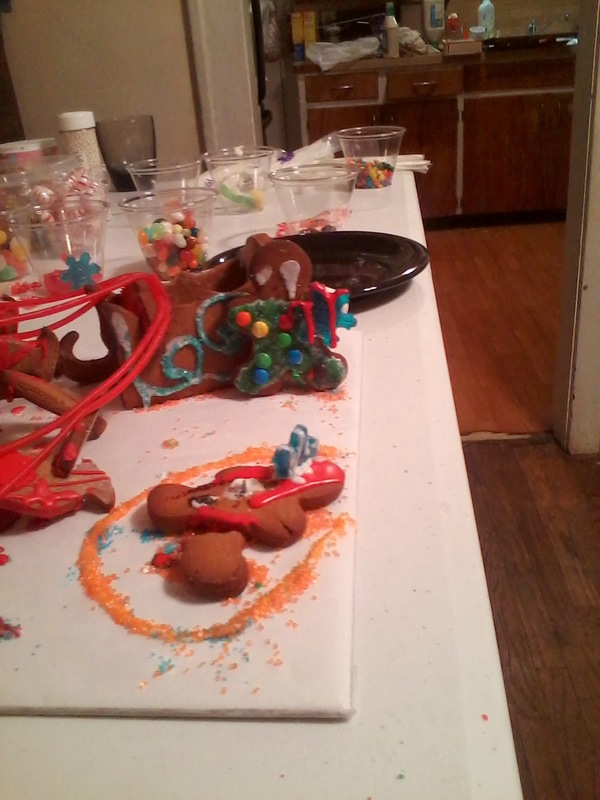 And as for the cookies.... it was FUN! 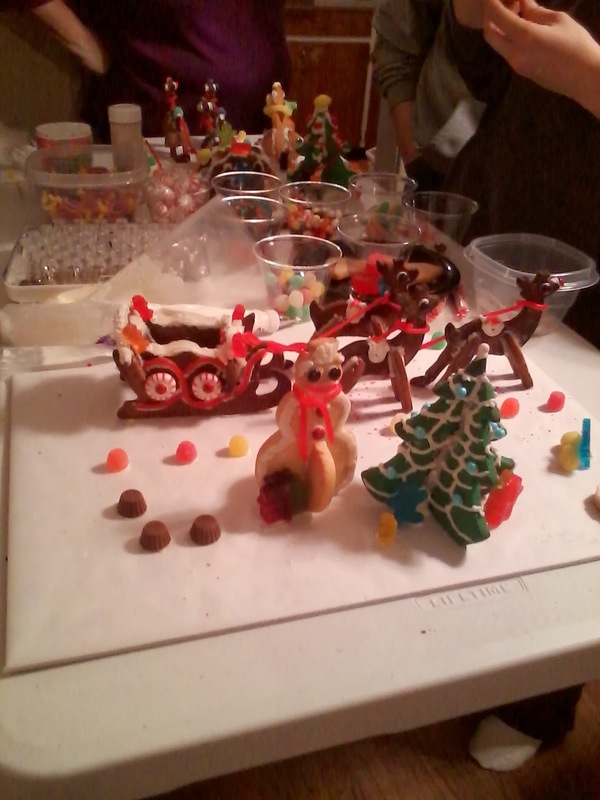 We had lots of candy to decorate with and a room full of creative people who have unique senses of humor is always a good thing. 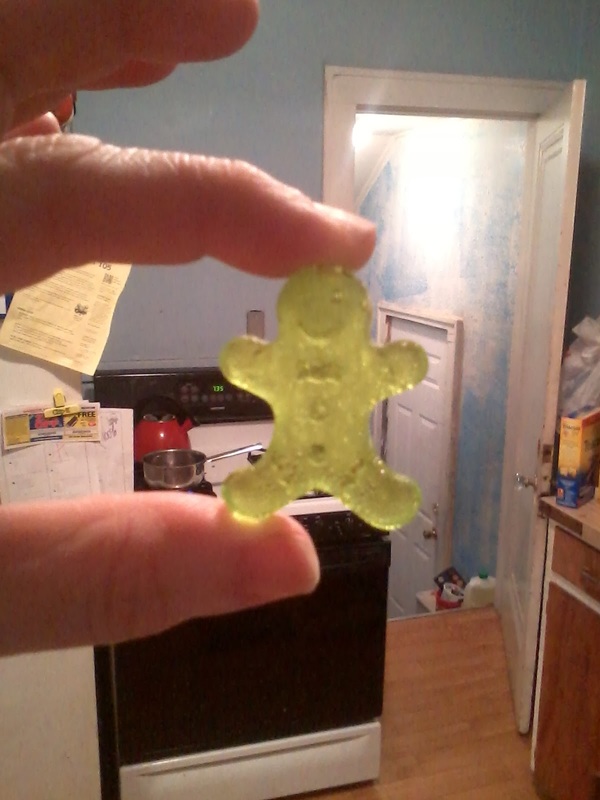 This one belonged to a friend of mine. 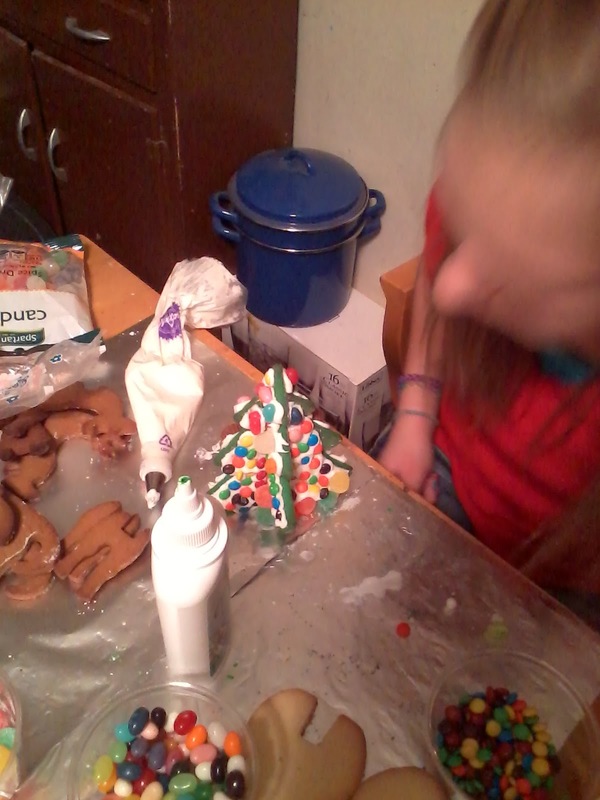 Her and her husband love to do cookie stuff. 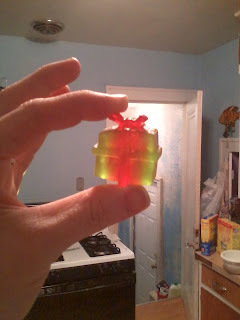 Another friend has their sleigh running over some poor gummy bears! 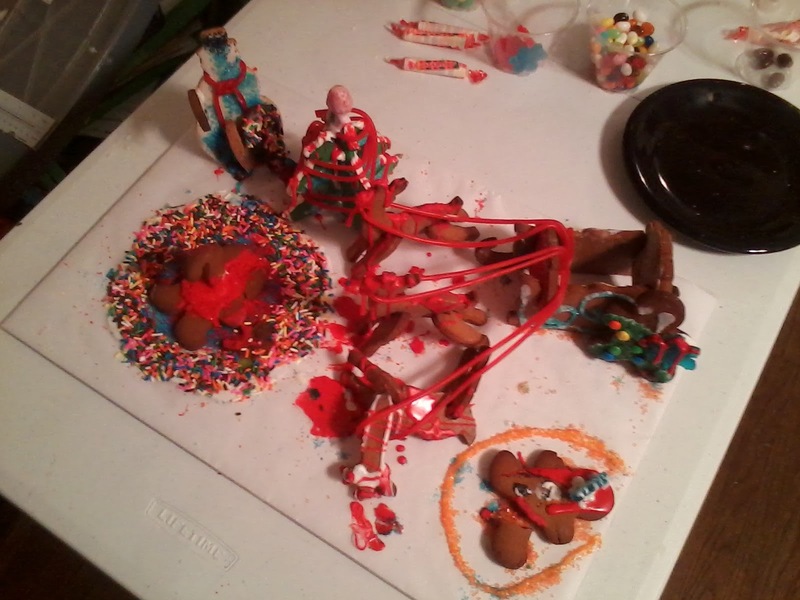 And my daughter made a full on cookie crime scene! 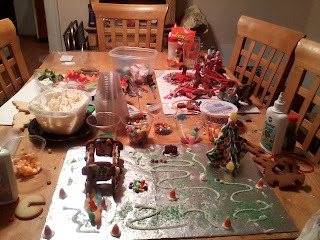 We may have had more, but that is what i can think of for now.